Canine influenza has been reported in Nevada. There is currently two strains of the dog flu and vaccination is available for both. Both strains are highly contagious, symptoms may or may not be visible until three days of the infection, and an animal can be infectious up to 25 days. 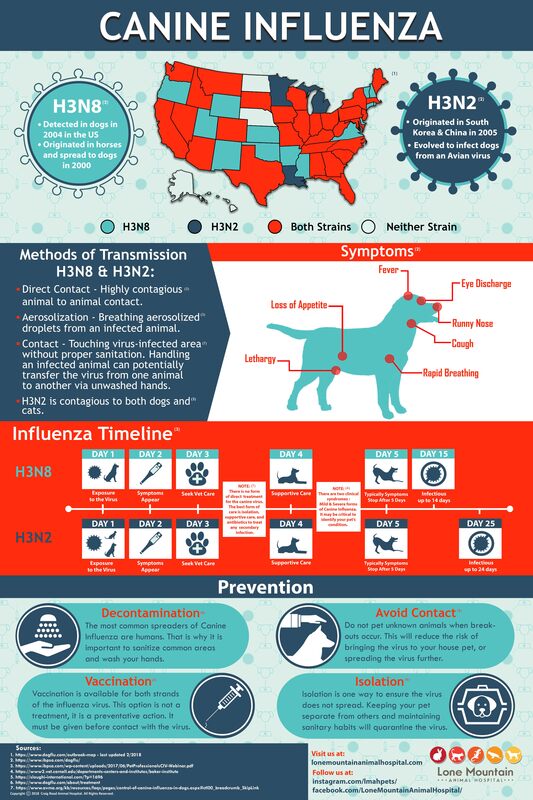 Please view our infographic for further clarity on both H3N2 and H3N8 strains and their symptoms.